I am still doing a painting a day, I’ve just fallen a couple of days behind in posting them on the blog. This is the painting from two days ago. I was waiting to paint the sunset because it was looking like it was going to be a really nice sunset, but when the sunset came it was just a little sliver of orange and the rest of the sky had clouded over. 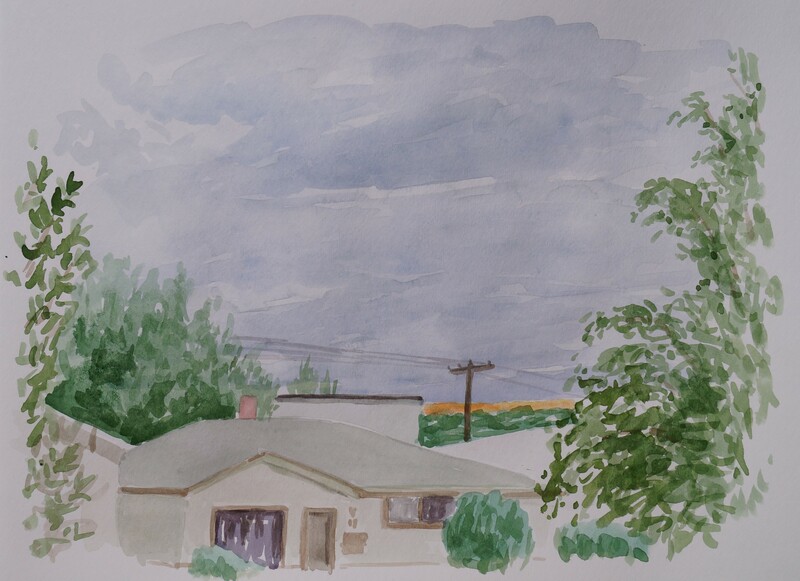 There has been a lot of rain and strong winds lately which is making outdoor painting a bit tricky, and I did not realize that I had done almost this same view from my rocking chair with a bit different sky a week before (see below). 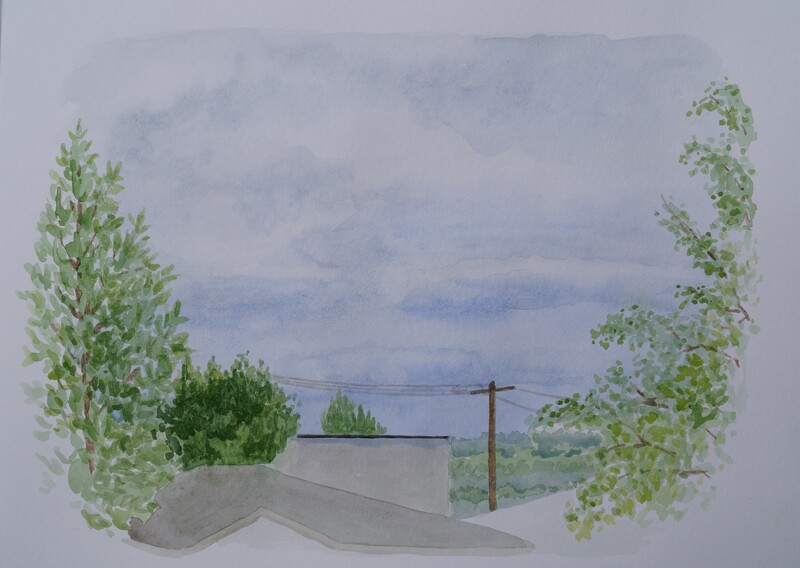 I see this view all the time and I have painted from here quite a few times now.